3.1 How to check AP ICET Results 2019? 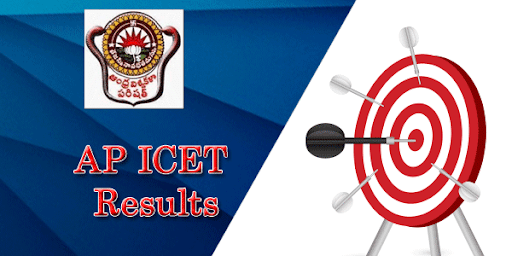 Sri Venkateswara University of Tirupati officially announces ICET Results in June 2019. Its Results time for the candidates who have taken the AP ICET Examination 2019. 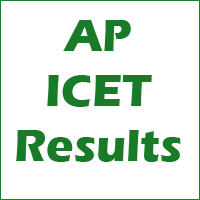 The direct link to check your AP ICET 2019 Results updated below. Examination Name Andhra Pradesh Integrated Common Entrance Test (AP ICET 2019). Name of Conducting University Sri Venkateswara University, Tirupati. Board Name Andhra Pradesh State Council of Higher Education (AP SCHE). AP ICET Exam Date 2019 26th April 2019. AP ICET 2019 Results date 2019. Result Released Time 12:00 PM. How to check AP ICET Results 2019? The ICET 2019 Results AP will be displayed on the screen. The one more important document for your MBA/ MCA course is AP ICET Rank Card 2019. So, candidates can download the ICET 2019 Rank Card and save for future reference. Also, take 2 to 3 printouts of the Rank Card. 8222040420 tell me result anyone ?? 8119010010 madam naa Hallticket number invalid ani chupisthundi.. Ante eppudu emi cheyali.. Qualified aina ledhu aa Neenu.. Please tell me..
Neenu result chusthe invalid Hallticket number ani chupisthundi..
Chill dude…give your hall ticket numbr here..so that it will be easy for them to get the result. invalid hall ticket no means? My hall ticket number is 8252010193..please check my results..
Any one please help to this problem……the halllticket num Is valid showing in the results whta is the solution for this one..
Is there getting any rank? My hall ticket number is 8234010774. Can you please tell me the details.